What Types of Residential Heating Systems Are Available This Fall? 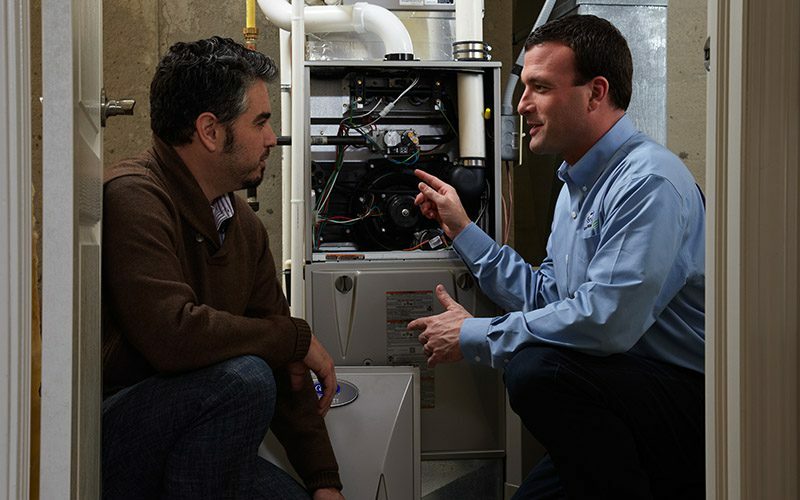 Considered a forced air HVAC system, a furnace is the most common type of heater used in homes. A furnace works by heating air inside the unit and distributing it via ductwork into your home through registers. To heat the air, a furnace will use one of the following fuel sources: natural gas, electricity, propane or oil. It’s an inexpensive option for heating. Only distribution method that homeowners can also use for cooling. Furnaces can filter, humidify and dehumidify your home’s air. Furnaces can achieve the highest Annual Fuel Utilization Efficiency (AFUE). Furnaces require ductwork and space within walls. You can often hear the furnace’s fan running when the unit is operating. Furnaces require regular HVAC maintenance and air filtration. Geothermal heat pumps are among the newest home heating options on the market. Also known as a ground-source heat pump, a geothermal system receives its heat from under the earth’s surface, where the temperature is constant throughout the year. To install a geothermal heat pump, a service technician must bury a loop in the ground. The type of loop you install will depend on your property’s size, its subsoil and the surrounding landscape. Geothermal systems are highly durable, and an underground loop system can last more than 50 years. You’ll benefit from quiet operation and won’t need to perform preventive maintenance on it as often. Geothermal heat pumps transfer energy to and from the ground, eliminating the need to release harmful gasses. Installing a geothermal system will cost more than a conventional and fuel-based heater. A geothermal system isn’t an ideal option for properties that require extremely high or low temperatures. Repairs to the underground pipes can become costly if they suffer damage. It’s a cost-effective alternative to an inefficient window unit or a space heater. Zoning options help conserve energy and save money by better controlling temperatures throughout the home. Ductless systems improve indoor air quality and lessen your carbon footprint. The initial cost of installing a ductless system in multiple zones can be higher than installing a whole-house unit. You might feel limited by the amount of ductless designs you can choose from. A ductless system might look unsightly versus a ducted system where ductwork is hidden. There are plenty of things to consider when shopping for a new home heating system. Without professional guidance, your investment can easily turn into a wasteful nightmare. At Byrum Heating & AC, Inc., our service technicians have decades of experience helping homeowners select, install and maintain the right heating system for their homes. Contact us at 704-208-4165 to learn more about the newest residential heating systems available on the market today.